RioCan Real Estate Investment Trust’s (REI-UN-T) plan to turn 43 of its retail properties into mixed-use developments through its new RioCan Living brand is intended to keep the company “ahead of the curve” and increase asset value says the trust’s senior vice president. 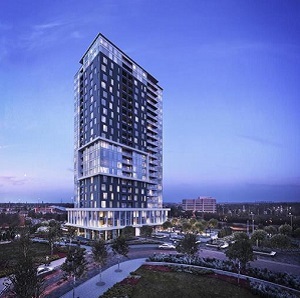 On Monday, the REIT announced the creation of RioCan Living to manage the 43 projects identified within its portfolio as mixed-use residential opportunities. The developments could create 20,000 residences in Canada’s six major markets. “We have a lot of very strong land that’s well-located. That’s transit-oriented and the existing uses on those lands can be brought forward to achieve what we think is a prominent mixed-use pipeline of assets where you’re sort of ahead of the curve developing something that is best-serving for the cities where they’re in and I think more resilient and future proof and ultimately more valuable,” Jonathan Gitlin, senior-vice president, investments & residential, told RENX in an interview. RioCan Living will be a division within RioCan, employing staff with expertise in mixed-use developments. “We already have an existing expertise within RioCan that we have been building up over the last two years, because we have been focusing on mixed-use developments for a little while,” said Gitlin. “RioCan Living came out of the recognition that there’s going to be a fairly sizable scale that will come out of this. As a large retail property owner, the opportunity is there for RioCan to distinguish itself as one of the strongest purpose-built residential landlords in Canada, he added. All but a few of the 43 projects are slated to include rental apartments, ranging from affordable to ultra-luxury. There are currently about 2,800 units — 2,100 residential rental and more than 700 condo — spread between eight RioCan Living projects that are, or will soon be, under construction. The first rental completion is scheduled for Q1 2019. Of these eight projects, six are in Toronto, one is in Calgary and one is in Ottawa. Each is located along a major public transit corridor, from prominent intersections such as Yonge and Eglinton, and Front and Spadina in Toronto to populous, urban avenues such as College Street, Toronto and existing shopping centres including Gloucester Silver City Shopping Centre in Ottawa and Brentwood Village in Calgary. The 43 projects offer about 25.1 million square feet of development potential, including about eight million square feet of commercial and air rights potential. The REIT said close to 50 per cent has been approved for zoning, and an additional 21 per cent has been submitted for zoning approvals. All have nearby transit access such as a subway station, an LRT station, or a rapid bus terminal. “It’s something unique to our land holdings,” Gitlin said of the transit access. “We do happen to have a lot of properties that we’ve held for many years, in some cases that just happen to be on either planned or existing transit hubs. RioCan is jumping on the urbanization trend in major Canadian markets. Residents increasingly want to avoid a long commute to work. Gitlin said a number of projects under construction now will be completed within the next one to three years. “When we talk about the 20,000 units, the entirety of that program, which is an ambitious program, is a seven-to-10-year program. It depends on a lot of varied factors including the market, the municipal approval process and things of that nature,” he said. Gitlin said RioCan also can’t predict the total investment the ambitious program will require. “The design of some of those developments are further afield and it’s really going to be dependent on a few factors, such as what is approved by the cities and what the market is, and what the communities surrounding them would want to see,” he said. Funding will come from a number of sources, said Gitlin, adding the REIT has a fairly strong balance sheet. Capital can be achieved through funds from operations or funds from sales initiatives. “In some cases, we would bring in partners, co-owners, to mitigate some of the costs involved in some of the large-scale, mixed-use developments,” he explained. RioCan REIT had an enterprise value of approximately $13.9 billion as of Dec. 31, 2017. It owns, manages and develops retail-focused, increasingly mixed-use properties. Its portfolio is comprised of 289 properties, including 17 development properties, with an aggregate net leasable area of approximately 44 million square feet. “We’re in the middle of a sales process . . . to sell somewhere around call it 100 of those properties,” Gitlin said. Virtually all the sale properties are located in secondary or smaller markets, as RioCan focuses on Canada’s six largest urban centres. Gitlin said RioCan Living is now assessing what will best fit each of those 43 sites. In some cases, it will redevelop a “discrete” portion of a larger retail property and put up a residential building. “In other cases, it would call for the removal of the existing shopping centre in place of what would be a more suitable development, which would include in most cases both retail and residential. It really depends on the property,” he added. Some of the redevelopments will have a condo component depending on the market, but RioCan’s focus is to build up its rental portfolio. This will also help address rental housing shortages in some parts of Canada, Gitlin said. “The retail helps the rental and the rental helps the retail. RioCan Living will be bringing to the residential tenants the ability to bring best-in-class retailers to that actual development,” said Gitlin, “which means you can live, work, play all within the same environment which is a critical attribute towards creating a very livable environment in today’s world.